One of the most common silent killers, high blood pressure is also a manageable disease when you consume healthy, good foods as part of a treatment plan. With your blood pressure ever changing throughout the day, knowing the best foods for high blood pressure may help you prevent further complications. A program known as the DASH diet plan is a commonly recommended treatment for high blood pressure. First, understanding high blood pressure may help you recognize how treatment works. High blood pressure, or hypertension, is the result of blood flowing through the arteries with excessive force. This constant pounding can cause damage to the artery walls and the heart. All of this turmoil within the arteries, surprisingly, presents little to no warnings. Monitoring blood pressure regularly may help to prevent two leading causes of death in the United States, stroke and heart disease. Making whole grains part of your regular diet may help treat, and possibly prevent, high blood pressure. This entails the part of the grain known as the kernel, which contains the healthy germ and bran that is removed in the processing of white bread and flour. Whole grains are high in fiber, iron, selenium, folate, potassium, and magnesium. Nutrient-enriched grains such as ready-to-eat and cooked cereals, popcorn, and unsalted pretzels are examples of grain-based foods that lower blood pressure. According to research, fruits and vegetables are also foods good for high blood pressure. In one study, British researchers found that the consumption of nitrate-rich veggies lowered the blood pressure of hypertensive patients over a 24-hour period. The roots of the vegetables gain nitrates through the soil, which turn into a nitric oxide gas. This gas relaxes constricted blood vessels. Select fresh and frozen fruits and vegetables to include in the diet are potassium-rich as well as low sodium canned vegetables. Remove any additives by rinsing before eating or cooking the produce. There are certain vegetables and fruits that fall under a group of the best food for high blood pressure. Beet juice was shown in a 2013 study to lower the systolic blood pressure by at least four to five points in healthy men. Published in Nutrition Journal, the study reported that a group of men and women were given the vegetable in form of beet juice. Within six hours, the men showed signs of lower blood pressure readings with the female participants also having lower readings. Beets are a great source of the naturally occurring nitrates that can ease your blood pressure. Broccoli is rich with potassium, vitamin C, calcium, fiber, and magnesium. These nutrients help to regulate blood pressure and fight heart disease by releasing constricted blood vessels. This cruciferous vegetable was also shown to lower blood pressure through nitric oxide, while the vitamin C component strengthens the vessel walls. Furthermore, a Northwestern University, Chicago study has linked the amino acid glutamic acid, found in abundance in broccoli, to lower blood pressure. Bananas are filled with potassium, one of the key fighters of high blood pressure. In fact, one banana contains 11% of the recommended daily allowance for a healthy lifestyle. Even higher amounts of potassium can be found in vegetables such as white beans, Swiss chard, and avocado. Baked potatoes contain potassium as well as magnesium to help regulate blood flow. High potassium levels help to cleanse blood pressure raising agents such as sodium. Kale may help to lower blood pressure with its vitamin C, potassium, and magnesium content. These nutrients also work as antioxidants to fight and prevent disorders and disease. High blood pressure may occur due to excessive amounts of cholesterol and saturated fats in the diet. While all meats contain some amount of saturated fats, chicken and fish have lower levels than beef, lamb, and pork meats. Salmon and other fatty fish provide benefits with their unsaturated fats. A study published in Nutrition Journal supports previous research, which suggests that a diet of omega-3 fatty acids can lower high blood pressure, particularly the diastolic pressure. Researchers concentrated on providing a diet of fish three times a week to a group of obese patients over an eight-week period. Dairy products such as cow’s milk have the essential vitamin D and calcium elements to lower blood pressure. This also works to reduce the risk of cardiovascular diseases. A lack of these minerals and vitamins has been been linked to signs of high blood pressure. The Journal of Human Hypertension published a study in 2012 suggesting a direct link between a diet of low-fat yogurt and milk and a lower risk of hypertension. Cheese was not included. The study focused on the digestive release of dairy’s properties, especially peptides, as well as calcium. Researchers offered no clear explanation for the results but suggested that dairy products with saturated fats may hinder healthy blood pressure levels. Probiotics have been shown to reduce high blood pressure, as highlighted in the Hypertension journal of the American Heart Association. A review of more than nine blood pressure studies saw a significant reduction in both the systolic and diastolic measurements of participants with high blood pressure over a two-month long diet of probiotics. That being said, the research did not advocate for a specific type of probiotic. Good bacteria found in yogurt have been part of prescribed diets for high blood pressure. A protein-filled diet is suggested for those with high blood pressure as studies have shown improvement in the systolic and diastolic readings for both men and women with this eating regimen. Adding fiber to a high-protein diet reduced the risk of high blood pressure. High-protein foods include legumes, kidney beans, lentils, split peas, seeds, and unsalted nuts, especially peanuts, walnuts, and almonds. These meal additions and snacks fall under what food is good for high blood pressure. Flaxseeds were shown to help reduce high blood pressure in a study published in Hypertension. While researchers did not identify a specific nutrient among fiber, plant omega-3, alpha-linolenic acid, antioxidants, and lignans as causing the reduction, researchers suggested that all contributed to impairing the enzyme that stimulates an increase in the blood pressure. Good news! Chocolate, particularly dark chocolate, could also be a useful tool in lowering high blood pressure. Cocoa’s naturally occurring compounds called flavanols were the subject of a study analysis published in a 2010 issue of BMC Medicine. Both the systolic and diastolic reductions were linked to the flavanols. The polyphenol content in extra-virgin olive oil may help lower the systolic and diastolic pressure readings. The American Journal of Hypertension published a study that showed olive oil high in polyphenols reduced blood pressure in more cases than olive oil products with a low polyphenol content. Coconut oil is high in omega-3 fatty acids, which are known for helping to lower blood pressure. Unlike other polyunsaturated fats, coconut oil stimulates the blood vessels to expand, alleviating inflammation. Balance the high fat source of nuts with the beneficial omega-3 fatty acids of a select few nuts. The fiber, potassium, and magnesium reduce high blood pressure as well as the fats. This does not include seeds and salted nuts. One study showed pistachios to be potentially responsible for lowering high blood pressure in one of two ways. The results, published in the Hypertension journal, suggest that pistachios in daily but low doses may either reduce the systolic pressure directly or lead to reduction by expanding the blood vessels. Almonds, mainly the unsalted ones, offer more than 20% of the recommended daily amount of magnesium in a one-ounce serving, plus four grams of fiber and 200 milligrams of potassium. All of these components make almonds a beneficial snack for lowering blood pressure. Hazelnuts are known for high amounts of fat with only a small amount of saturated fat. They do, however, contain three grams of fiber, 193 milligrams of potassium, and 46 milligrams of magnesium in a one-ounce serving. A natural and tasty remedy for lowering blood pressure is the use of herbs. The active components of various plants may help, but you should be sure to consult an expert, as some herbs can counteract certain medications. Basil has been shown to lower high blood pressure for brief periods of time. Cinnamon may help reduce blood pressure in diabetics when used daily, according to a study published in the Journal of Clinical Nutrition. Cardamom added to meals has been shown to lower blood pressure in those with stage 1 hypertension when used daily over several months. Ginger is used to stimulate proper blood circulation and to help the muscles surrounding the blood vessels naturally relax. Celery seed is an ancient Chinese remedy for high blood pressure, which has been proven effective in some studies. Turmeric has a natural healing compound known as curcumin, which works as an anti-inflammatory as it lowers high blood pressure. High blood pressure patients are often recommended to follow the Dietary Approaches to Stop Hypertension, or DASH, diet. It outlines what foods lower blood pressure absent the use of prescribed medication. This eating plan contains healthy and nutritious foods with the main focus on portion control. Foods most highly recommended are high in potassium, magnesium, and calcium. Grains 6 1 slice of bread, 1 ounce of dry cereal, ½ cup of cooked cereal, rice, or pasta. Whole wheat bread products, cereals, oatmeal, brown rice, unsalted popcorn, and pretzels. Source of fiber and energy. Vegetables 3-4 1 cup of raw broccoli, peas, carrots, sweet potatoes, squash, kale, collards, and lima and green beans. High content of potassium, fiber, and magnesium. Fruits 4 1 medium fruit, ¼ cup of dried fruit, ½ cup of fresh fruit, frozen, or canned fruit. Apples, bananas, oranges, grapes, melons, peaches, strawberries, mangos, dates, apricots, raisins, and pineapples. High content of potassium, fiber, and magnesium. Fat-free and low-fat milk products 2-3 1 cup of milk, yogurt, or 1.5-ounce of cheese. Fat-free or low-fat milk, buttermilk, cheese, and regular or frozen yogurt. Sources of calcium and protein. Lean meats, poultry, and fish 3-6 1 ounce or 1 egg. No fat or skin; broiled, roasted, or poached. Choose “no salt added” or low-sodium foods. Limit or avoid foods with high saturated and trans-fat content. Consume fresh vegetables and fruit. Choose lean cuts of meat, poultry, and fish. Use spices to flavor foods when cooking or eating. Prepare meals rather than pre-packaged or take-out meals. Have small portion sizes of food. Drink water, low-fat dairy, and club soda. When dealing with a high blood pressure diagnosis, there are changes you can make in lifestyle and dietary habits to reduce the risk of complications. High blood pressure may be a manageable condition by monitoring your intake of food and beverages. Regular exercise also is vital to living a healthy life with high blood pressure. The DASH diet is a common recommendation by medical experts to lower blood pressure. Studies show that consuming fresh fruits and vegetables, low-sodium foods, and lean cuts of meat can not only lower high counts of blood pressure, but can also prevent complications such as stroke and heart disease. “About High Blood Pressure,” Centers for Disease Control and Prevention; https://www.cdc.gov/bloodpressure/about.htm, last accessed November 20, 2017. Parry, V., RD, CD, “Natural Foods TO Lower Blood Pressure,” Ball State University; https://cms.bsu.edu/About/AdministrativeOffices/WorkingWell/WellnessClasses/-/media/WWW/DepartmentalContent/Dining/pdfs/Foods%20to%20Lower%20Your%20Blood%20Pressure.ashx, last accessed November 20, 2017. Sheps, S.G., MD, “High blood pressure (hypertension),” Mayo Clinic; https://www.mayoclinic.org/diseases-conditions/high-blood-pressure/expert-answers/whole-grain-foods/faq-20058417, last accessed November 20, 2017. Pienovi, L., et al., “[Fruit and vegetable intake, and blood pressure. A population research].” Archivos latinoamercianos de nutricion, March 2015, 65(1): 21-6; https://www.ncbi.nlm.nih.gov/pubmed/26320302, last accessed November 20, 2017. “Nitrates found in green veg and beetroot help tackle high blood pressure,” Queen Mary University of London, April 16, 2013; http://www.qmul.ac.uk/media/news/items/smd/95990.html, last accessed November 20, 2017. 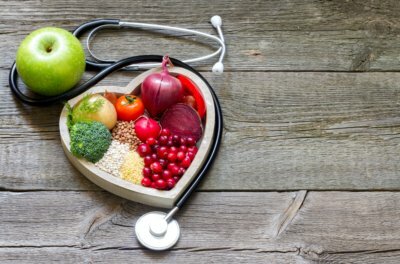 “Eat more fruit and vegetables to lower blood pressure,” Blood Pressure UK; http://www.bloodpressureuk.org/BloodPressureandyou/Yourlifestyle/Eatingwell/Fruitandveg, last accessed November 20, 2017. “Foods That Lower Blood Pressure,” Berkeley Wellness University of California; http://www.berkeleywellness.com/slideshow/foods-lower-blood-pressure, last accessed November 20, 2017. Kelly, D., “8 Foods That Help Lower High Blood Pressure,” Reader’s Digest; https://www.rd.com/health/conditions/foods-that-help-lower-high-blood-pressure/, last accessed November 20, 2017. Joe, MSC Nutrition, “11 Foods Scientifically Proven to Lower Your Blood Pressure”, Diet vs Disease; https://www.dietvsdisease.org/11-proven-food-to-lower-blood-pressure/#4_Cashews_and_almonds_can_dramatically_reduce_your_blood_pressure, last accessed November 20, 2017. “Eat More Chicken, Fish and Beans,” American Heart Association; http://www.heart.org/HEARTORG/HealthyLiving/HealthyEating/Nutrition/Eat-More-Chicken-Fish-and-Beans_UCM_320278_Article.jsp#.WhLd-UqnHIV, last accessed November 20, 2017. “Yogurt and Other Foods Containing Probiotics May Lower Blood Pressure,” University of Utah Health, August 1, 2014; https://healthcare.utah.edu/healthfeed/postings/2014/08/080114_article-yogurt-lowers-blood-pressure.php, last accessed November 20, 2017. Pouliot, Y., PhD, “The benefits of milk products on blood pressure: a role for bioactive peptides,” Dairy Nutrition; https://www.dairynutrition.ca/scientific-evidence/experts-summaries/the-benefits-of-milk-products-on-blood-pressure-a-role-for-bioactive-peptides, last accessed November 20, 2017. “New Research on High Blood Pressure: What You Need To Know,” Tufts University, March 2015; https://www.nutritionletter.tufts.edu/issues/10_15/special-reports/New-Research-on-High-Blood-Pressure-What-You-Need-to-Know_1663-1.html, last accessed November 20, 2017. Flynn, M., PhD, RD, LDN, et al., “Olive Oil as medicine: the effect on blood pressure”, UC Davis Olive Center, December 2015; http://olivecenter.ucdavis.edu/publications/olive-oil-as-medicine, last accessed November 20, 2017. Weller, C., “Hypertension Subsides With Coconut Oil And Exercise: Harnessing The Latest Superfood,” Medical Daily, February 10, 2015; http://www.medicaldaily.com/hypertension-subsides-coconut-oil-and-exercise-harnessing-latest-superfood-321554, last accessed November 20, 2017. “Spice Up Your Life With High Blood Pressure,” University Health News, October 30, 2017; https://universityhealthnews.com/daily/heart-health/spice-up-your-life-with-these-high-blood-pressure-remedies/, last accessed November 20, 2017. “Description of the DASH Eating Plan,” National Heart, Lung, and Blood Institute; https://www.nhlbi.nih.gov/health/health-topics/topics/dash/, last accessed November 20, 2017. “In Brief: Your Guide To Lowering Your Blood Pressure With Dash,” National Heart, Lung, and Blood Institute; https://www.nhlbi.nih.gov/health/resources/heart/hbp-dash-in-brief-html, last accessed November 20, 2017. “Eat and Drink to Lower Blood Pressure,” The New York City Department of Health and Mental Hygiene; https://www1.nyc.gov/assets/doh/downloads/pdf/csi/hyperkit-pt-nutrition-fact.pdf, last accessed November 20, 2017. Crews, J., BS, CHES, “Nutrition for Hypertension,” Nasa, May 2006; https://tdglobal.ksc.nasa.gov/servlet/sm.web.Fetch/May_Nutrtion_for_Hypertension.pdf?rhid=1000&did=8891&type=released, last accessed November 20, 2017.